Is volunteering the new happy hour? For centuries, the workforce has engaged in after-hours events to relax from a hard day’s work and get to know colleagues on a more personal level. Over time, these events have commonly become known as happy hours. Seeing the value of a happy hour, employers have morphed this social setting into company-hosted holiday parties, catered workshops, teamwork retreats and more. Each organization is seeing an increase in employee engagement and overall happiness in the workplace. But more millennials entering the workforce has brought on a new challenge. A recent study showed that 70 percent of working Americans believe volunteer activities are more likely to boost employee morale than company-sponsored happy hours. In an effort to re-engage their employees, organizations large and small have revamped their corporate social responsibility (CSR) programs to focus on connecting employees with real ways to make a difference in the community. For example, when a Harvard University/UC Berkeley study revealed Charlotte-Mecklenburg ranks 50th out of 50 among the largest U.S. cities in economic mobility, the Charlotte community rallied for a solution. Organizations have found ways to step up and use their collective impact to create positive change. Companies including Bank of America, Duke Energy, Atrium Health and Ingersoll Rand adopted Charlotte-Mecklenburg Schools kindergarten classrooms and provided volunteers to work one-on-one with students for 30 minutes each week to help them learn critical reading skills. These volunteers bring joy to their kindergarten reading buddies through quality time together and walk away from each session with a smile. CSR has become so important that Deloitte’s 2017 Volunteerism Survey revealed that nearly half of interviewees from the millennial generation will raise the issue of CSR during the interview or hiring process with a potential for-profit employer. In addition, rather than salary and benefit packages, millennials are asking about a company’s corporate social responsibility. 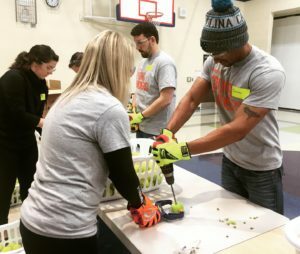 With this insight, companies like Salesforce, TIAA and Wells Fargo are engaging employees through intentional volunteerism. 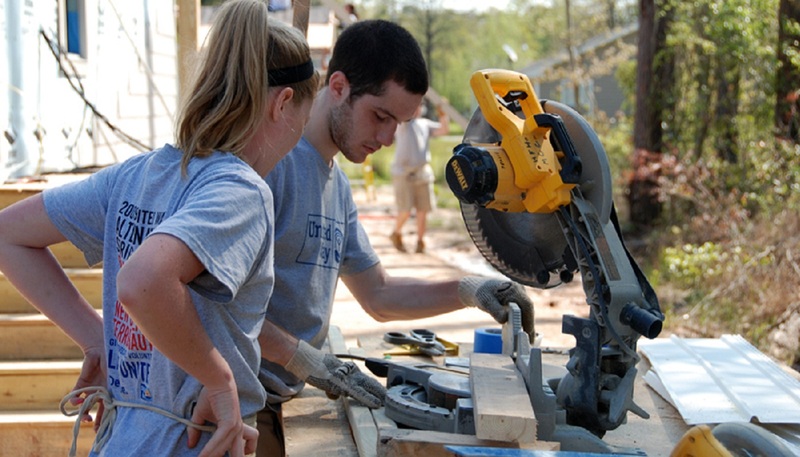 Some one-day, large-scale projects like the Charlotte Playground Build and company impact days engage employees during business hours to get hands-on in the community with colleagues inside and outside of their departments. Other opportunities like MLK Call to Service and Hands On Charlotte Day bring employees together in the community with their families for a day of giving back. These United Way events allow staff to show up, take action and leave inspired and fulfilled by the immediate results of their efforts. An engaged workforce is vitally important in the Charlotte community. Through volunteerism companies have found ways to step up and use their collective impact to create positive change not only throughout the community, but also for each of their employees. United Way offers flexible volunteer opportunities for companies, individuals and families throughout the year, connecting them with service projects that have meaningful impact in and around the Charlotte area. See more stories about the significance of employee engagement in our Corporate Volunteerism special section published in the Charlotte Business Journal.